EL CANTANTE is the dramatic biography of Puerto Rican salsa pioneer Hector Lavoe. 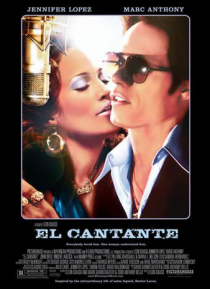 The film follows Lavoe's (Marc Anthony) passionate relationship with Puchi (Jennifer Lopez) and his skyrocket to international fame. But even when he has it all, Lavoe is unable to escape the allure of drugs and his personal pain.